One of the most attractive features of the CrypViser’s ICO is that CVCoins are being offered at different discounts at various levels (in terms of periods) until June 30th. At the end of the campaign, the company will list all unclaimed CVCoins on public markets at the initial fixed rate of 0.99 EUR for 1 CVC. Since discount percentage will gradually decrease towards the end of the ICO, investors have a good chance right now to avail some great concession. Why is the CrypViser Platform worth investing for? The platform of CrypViser, development of which has been going on since 2015, has been provided with a novel security core that provides protection on local, network as well as server level and a highly competitive cryptographic model. Hence, the platform not just prevents leakage of information to third parties but also avoids middlemen attacks and local data storage vulnerabilities, while identifying unauthorized interception attacks via integrated intrusion detection algorithms. It can be said that CrypViser follows “No tracking- No Tracing- No Metadata Records” principle. With CVPay, users can transfer CVCoins in a secure, faster and unlimited way irrespective of their residency or location. CVPay system has been integrated into CrypViser app that can easily be used for payments and invoice processes. 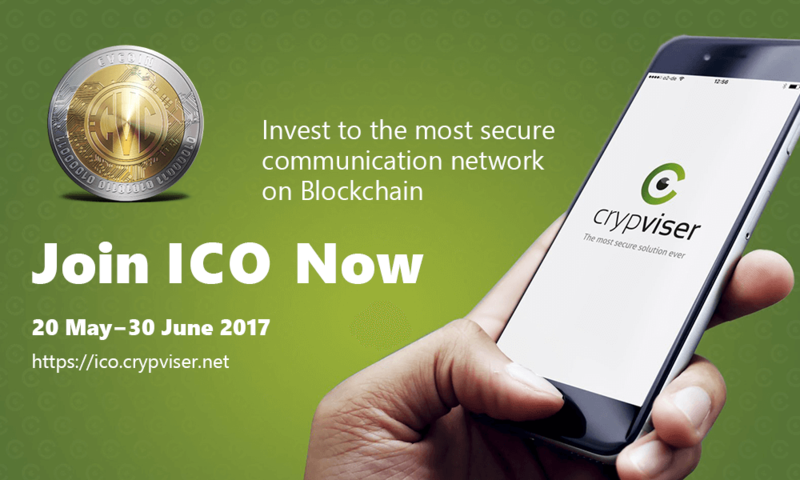 If you haven’t yet purchased the CVCoins being distributed in the ICO Campaign of CrypViser, hurry up, as the ICO is going to end by June 30th.